In view of the city’s long history of amalgamation of Oriental traditions and Western influences, the vibrant food scene of Hong Kong is distinguished by its palatable diversity and culinary innovation. 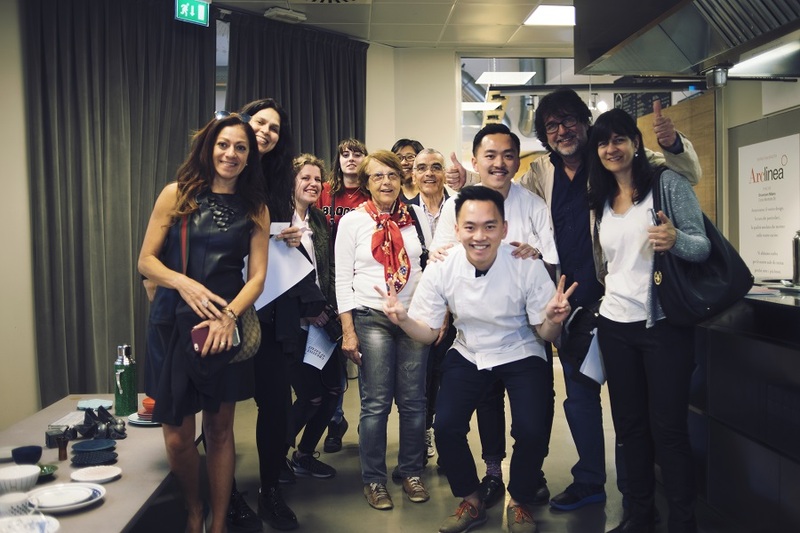 The Creative Fusion programme at Eataly brought to Italy iconic Hong Kong culinary specialities to showcase the mind-boggling variety of food fusion and cultures of the Southeast Asian gourmet paradise. A range of products from Hong Kong – craft tea brand Plantation created by teakha, local craft beer Kowloon Beer, Wing Lee Wai rose liquor specially packaged by Brandnaissance, H.A.N.D.S. coffee set, and the upcycled “Rice Bell” by Kevin Cheung – were featured to demonstrate the city’s edge in food design and culinary innovation. 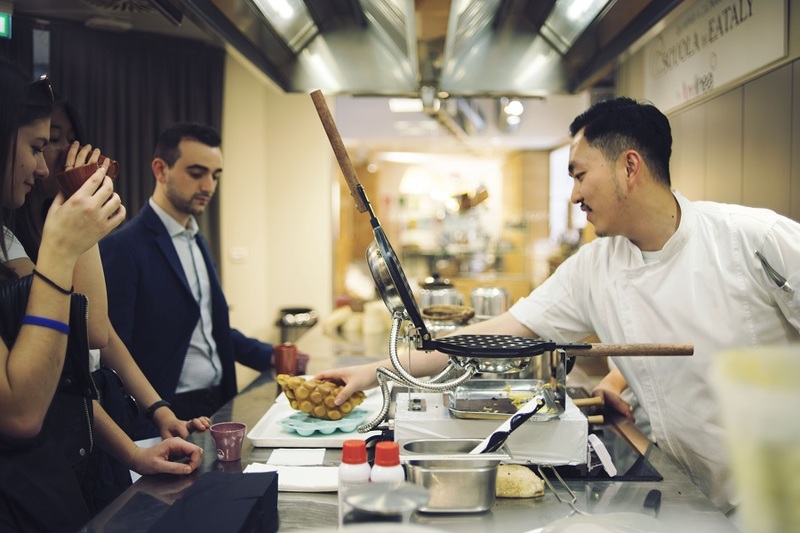 A sumptuous feast of Hong Kong street food, presented by food and beverage consultancy Twins Kitchen, took guests on a whirlwind tour of Cantonese flavour. Twins Kitchen will source home-grown Lombard ingredients to re-create iconic Hong Kong recipes with an Italian twist. 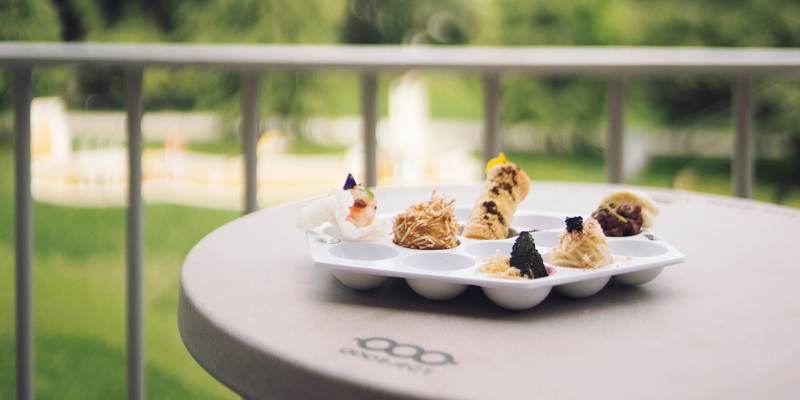 The palatable taste journey was complemented by innovative tableware made by eco-friendly design brand OOOBJECT. All finger-licking delicacies were served up on eggette-shaped plates made from upcycled paper scraps and coffee grounds. Modelled after the crispy but fluffy, humble yet addictive street snack, the breakable bubble waffle plates are perfect for sharing. Yuenyeung, a mix of quintessential Italian espresso and fragrant Hong Kong-style milk tea, was served in a cup with two compartments for a complete East-meets-West experience. FREE demonstration and tasting sessions (three scheduled sessions per day) by Twins Kitchen at Arclinea Eataly, were opened to public on a first-come-first-serve basis.